It's nowhere as deep as the garage door notches they designed to let the doors slide up and down. How does the notch fit into the initial set that the part was first introduced and does this shallow groove have specific function? For reference, this is "Plate, Modified 1 x 2 with 4 x 4 Dish at 90 degrees" (30209). 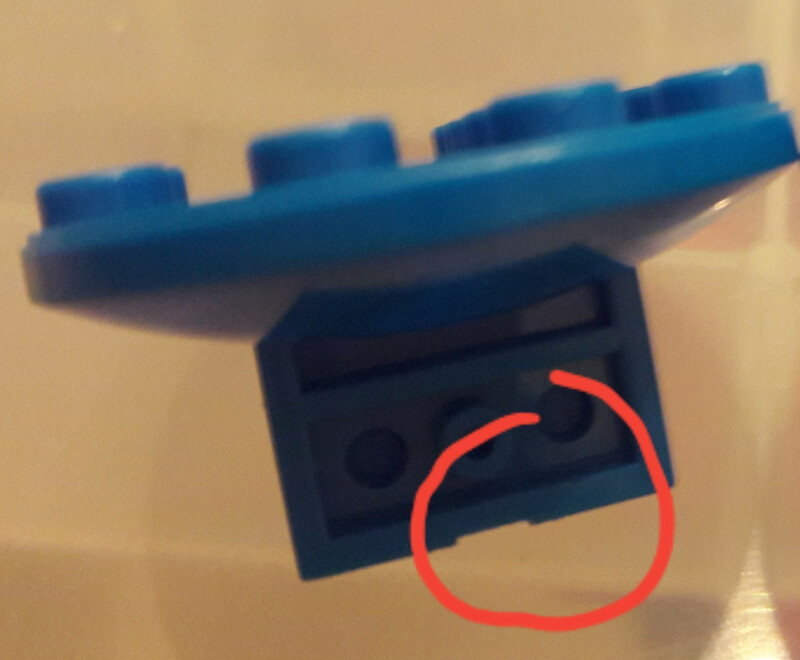 As far as I know, it's not intended to have any building function, it's just there to prevent any excess plastic at the fill hole from getting in the way of other pieces. I can't find a good close-up picture, but that particular piece is filled through a hole in the mold at that location, which you can kinda see in this picture. Without the small recess, if the sprue were to leave behind a small nub, it could prevent sticking the piece next to another piece. Not the answer you're looking for? Browse other questions tagged piece-information manufacturing snot or ask your own question. Why does the Erling brick have a ridge below its outward facing stud? Any reasons for the introduction of the new-style raised arch? Why don't inverted brackets (99780) work in this SNOT 180 configuration? 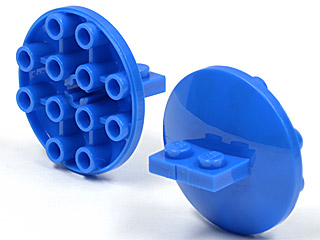 What is the name of the small pins that are used with small wheels / rims? Why does the Duplo bathtub piece have an odd height?